The ice cream sandwich pillow will give you sweet dreams. Designed by Decor Craft Inc, this body pillow measures 25 inches in length making it ideal to rest on while watching a movie or taking a cat nap on the couch. If food shaped pillows are not your thing, check out the ice cream sandwich iphone case. 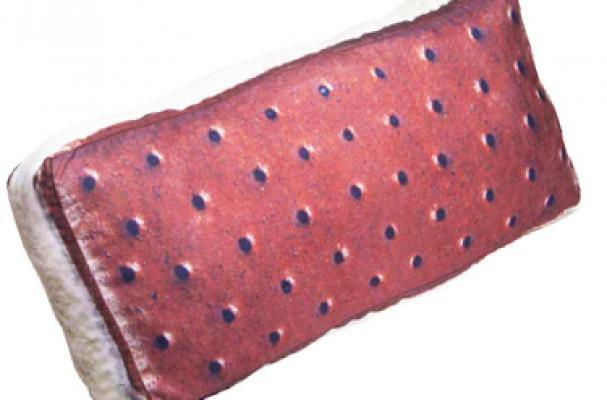 This ice cream sandwich pillow is the perfect gift for any ice cream lover.